Shopping used to be easy, you know. If you needed something new, you just went to the best local manufacturer for a recommendation. In a time before advertisements, success and reputation were built by producing high-quality goods. Not on how big your marketing department is. Nowadays? What a different story! Thousands of models to choose from. Countless brands, ‘bargains’, and in-your-face adverts demanding that you buy their product “NOW!”. For us modern shoppers, we need to be armed with the knowledge to look past all of this nonsense and find the right models. Unfortunately, it’s not as easy as it used to be. That’s the price we pay for having so much information at our fingertips. As someone who spends way too much time researching appliances, I’ve written this guide to help you navigate the ocean of misinformation. I intend for it to cover everything you need: from choosing the right type of microwave, to spotting the tell-tale signs of a bad model, and even tips to get the most out your new microwave. If I’ve missed anything, please shoot me an e-mail and let me know! What Are Microwaves, Really? How Do They Work? In the 1940’s, Dr Percy Spencer – an American scientist – noticed that the military radar equipment he was working with had melted the candy bar in his pocket. Now, in 2018, almost every household in America owns what we call microwave ovens. These mysterious metal boxes. You put cold food in, and hot food comes out. Magic. But how many of us really know what’s causing our food to heat up? A device inside the oven, called a magnetron, produces high frequency radiowaves. These radio waves bounce around inside the metal oven casing. The heat absorbed by the water inside the food heats up our meal! 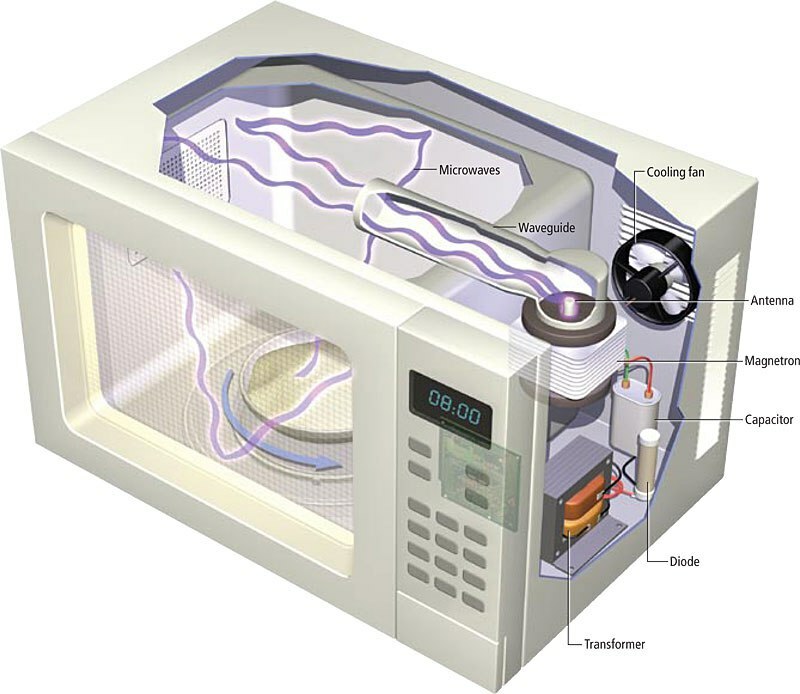 Microwaves are produced by the magnetron and directed into the metal container. The fact that the heat comes from water is why you sometimes have to add extra water to microwave meals. A microwave won’t do anything if you’re trying to heat totally dry food.. it needs to at least contain some water in order to absorb the microwaves. That’s all there is to it, really. The complicated stuff comes up when we look at how the magnetron produces the radiowaves. If you want to learn more, this is the best guide I’ve found. If words like ‘magnetron’ and ‘radiowaves’ sound scary, don’t worry. Microwaves are perfectly safe. Check out this guide by the World Health Organisation if you want to learn more. Since creating Appliance Analysts, I’ve spent a lot of time reviewing appliances. In my experience, even if you’re just searching online, there’s plenty of tell-tale factors you can spot. These are your number one indication of what you can expect. Why test something yourself, when other people have done it for you! My advice is to ignore the reviews that are extremely positive or extremely negative. Look for the 3 or 4-star reviews which provide a more realistic insight of what to expect. It’s actually been proven that companies buy and sell fake 5-star reviews. Now, unfortunately, the industry-standard warranty lengths for microwaves is 1 year. There’s not much we can do about that, and almost every microwave will have one of these. A good protection plan will guarantee you customer support and free repairs (incl. shipping). 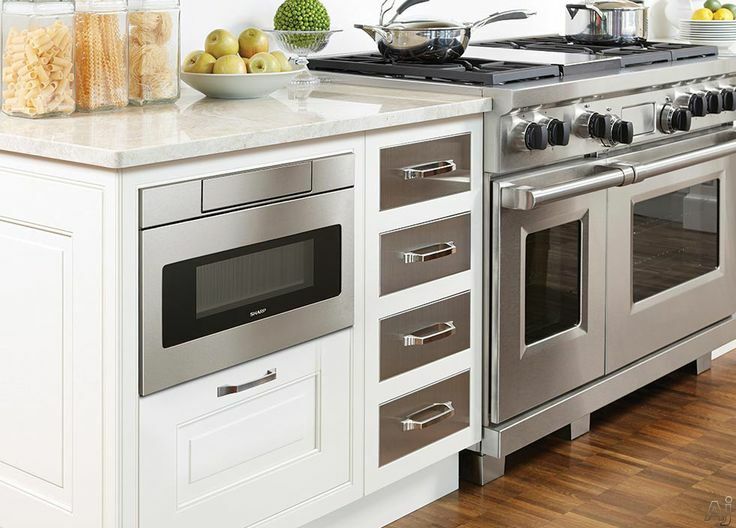 Take a second and ask yourself how long you want an appliance like this to last. 2 years? 3? 4? I think we couldn’t really complain if an appliance was still working after four years. Want to know one of the biggest factors that make or break the success of an appliance? How easy it is to use. And what’s at the center of how we use every appliance? The controls. You should be able to figure out how to use a good control panel in about 5 seconds. If it looks more like spaceship command than a microwave, abort the mission. A size that matches your space and needs (see size section). While not all household brands are good options, a known company is typically a safer prospect. The bigger the company is, the more scrutiny they’ll be under to get things right. That being said, there are smaller companies out there who are absolute gems. For those cases, it’s worth going and checking out their website and company profile, to get an idea if they’re authentic or not. Manufacturers are getting very, very good at making products which look much sturdier than they actually are. Investigate the parts of the product. Is that shiny grey stand made of the sturdy metal, or is it just some pretty-looking plastic? If a company are willing to try and sell you a false image like that, the rest of the appliance parts probably aren’t great, either. The most important factor – appearance! All of the above points above are key for a good microwave, but make sure you like the way that it looks, too! All the functionality in the world doesn’t mean much if you won’t like looking at it every day. There’s two different ways to categorize microwaves. First is how they function. How the food is cooked – and any extra features the microwave has. Second is how and where the microwave is installed (that’s in the next section). The following are the main different types of microwaves you’ll find on the modern market. While the ones with newer features may sound more attractive, remember to ask yourself if you’ll really make use of the extra functions. Because they always come with a higher price tag. The bread-and-butter of quick cooking. These microwaves are as conventional as you can get – their only method of cooking relies on the microwave technology we spoke about in the introduction. With so many different models, there’s a lot of poor-quality copies out there. If you’re shopping for a conventional microwave, pay extra attention to our ‘What To Look For’ section above to help avoid being stuck with a dud. I won’t repeat that section here, but it is the most important thing to know if you just want a good, conventional microwave. As with all appliances, we recommend to not be afraid of paying a little bit more for quality or a good warranty. It’s so worth it if it avoids stress and lost time. Forget the fancy-sounding name – convection microwaves are simply microwave ovens that also are able to function like a normal oven. 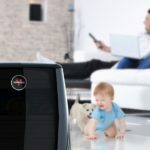 While still being a fully functioning microwave, they also include a standard heating element – with fans to move the roasting hot air around. Just like a conventional fan oven. A huge bonus is that they solve the one downfall of microwaves: that the cooked food gets browned/seared. By combining the moving fan heat with a quick-cooking microwave, you get the best of both worlds. Granted, it’s not a like-for-like replacement for a lengthy oven cook, but it’s a definite upgrade on normal microwave foods. Of course, these microwaves do come with a price hike. If you’re considering getting one, my advice is to think about how often you’ll make use of the extra functionality. If you love baking cakes, making casseroles/oven pasta, or make roasts regularly, you could definitely be getting your money’s worth. But if you just want a good microwave? The extra money might be better spent on getting a high-quality conventional model. These models are very similar to convection microwaves. As you can probably guess, they switch out the oven component for a grill. Or at least, a very close replica to a grill. The grill heater is typically on the underside of the top of the microwave. You place your food on the rack, close enough to sizzle at the same time as the microwave works its magic. A drip tray below catches the usual run-off. These combo-microwaves do work well; unlocking a world of rapid-barbequing and grilling. Similar to the models above, they’re perfect for preventing the ‘soggy-ness’ that haunts microwaved food. Thinking about buying one? My same recommendation applies: Make sure you see yourself using the grill enough to warrant paying the extra cost. Which Installation Type Suits Your Kitchen Best? There’s far more to the microwave world than the conventional countertop microwave. 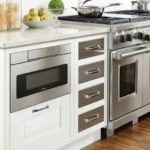 These new and different takes on standard microwaves are a fantastic way to really modernize your kitchen. Below are the four main ways to install a modern microwave. I’ve written them out from the cheapest to the most expensive. Have a think about what would work best in your home. These are your standard microwaves, known the world over. No installation required – just plug in and get cooking. Despite this being the cheapest option, you can still get stellar quality models which have all the bells and whistles of the other types. The key issue is obviously their size and your space. Counterspace is a valuable commodity in kitchens, and unless you’ve got a huge house out in the country, you’ll really notice the difference. Lastly, in my opinion, a countertop microwave will never really give you the ‘feel’ of a completed kitchen. 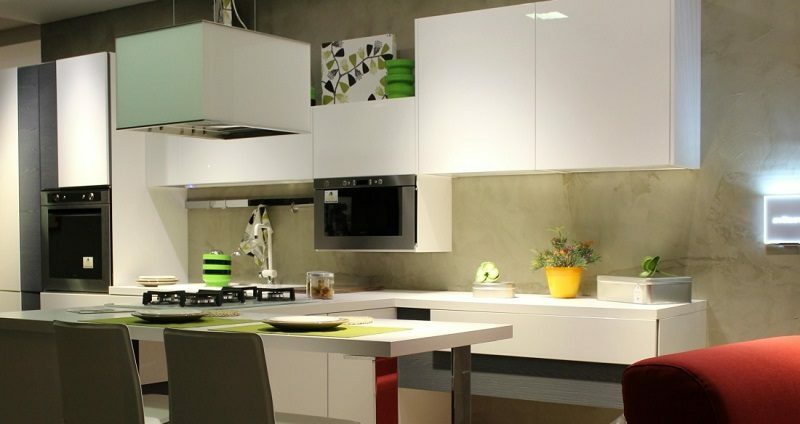 Unlike the other models, which do make a kitchen feel that much more modern and organised. Built-in microwaves are installed straight into your cabinet space, or even onto a shelf on the wall. Unlike drawer microwaves (below), they keep everything conventional – namely size ratios, opening with a swing door, and standard wattages/functions. The great thing about built-in microwaves is their flexibility in where they can be installed. Have a ton of cabinets? Switch one out for a microwave. Don’t have a lot of cabinet space? Fix it on the wall somewhere! They’re ideal for smaller kitchens where space is very valuable. While more expensive than conventional models, the price tags on built-in microwaves aren’t crazy. At least compared to drawer microwaves..! These microwaves are another handy solution that helps keep your valuable counterspace clear. Installed within the range hood above your oven, they’re intended to ‘blend in’ and provide some of the hood features. Ventilation, for example, can be provided – and it’s something we definitely recommend with these models. Either in external venting (just like the standard hood provides), or recycling the air through a filter and back out. While the venting will never be quite as good as a dedicated hood, it’s almost a must if you want to keep using the hob normally. Look for models that also have lights below them. As with the venting, these replicate what you miss with a normal hood. Finally, one warning from me: microwaves like this can be a little tricky to use. The piping hot food/drink needs you to lift it from above shoulder height. This can be a bit of a challenge, so do be careful if you’ve not got the strongest arms. Microwave Drawers have a lot of personal significance to me, as our review of them is one of the first articles which really started this website. These microwaves are embedded into kitchen cabinets as drawers. They open by sliding the drawer out and in, rather than a swinging door. Since they’re embedded (typically sitting flush with your cabinets), they save a ton of space. Their plug is much easier to keep hidden, too. Not to mention their looks.. where do I start? Their controls are sleeker, easier to use, and have many more options than most traditional microwaves. Sleek controls offer every type of mode and customization you could ask for. Microwave drawers go hand-in-hand with a modern kitchen. The sliding drawer opens out at the brush of the sensor, and they come with a great range of power options and cooking modes. You can’t get any more modern than this. What does it feel like to own a drawer microwave? Indulge me for a minute while I try to describe it.. Pull out that stiff old plug from the big, bulky box taking up your precious counterspace. Lug that thing out to the trash, and revel in the new kitchen space you’ve just freed up. In its place, install a sleek microwave which sits flush with your cabinets. It practically looks like an ornamental art-piece rather than something functional. Flip down the hidden control pad, and brush the ‘open’ button with your finger. Step back as the tray slides out, and place in a bowl of your favorite food. Tap the close button, and select the right mode (which you’ll know because you just can’t stop using this microwave). No noisy rotating turntables here. Just evenly distributed power heating up your favorite dish. Let the drawer slide open again, whip on your oven glove and grab the piping-hot bowl – easily done thanks to the large 1-cubic-foot container giving you plenty of space to work with. Serve up your meal, garnish with a few extra herbs and spices, and enjoy. No worries. Want to check out some models? Click this link to see our shortlist of the best microwave drawers. 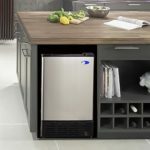 I want to share three quick tips that are worth knowing if you’re shopping for a new microwave, or want to make one last. Microwaves are a fantastic appliance to buy second-hand. Many of them will last for a decade or more, but people often need to offload them much earlier than that. This is especially true for areas with college students who are only around for a few years. Just make sure you do your research, and try to put it through its paces before you buy! Ask the seller about why they’re selling it. If they’re moving house or renovating, that’s a good sign. But if they’re just ‘upgrading to a new one’? Red flag. No-one suddenly just upgrades a well-functioning microwave! One downfall of being able to cook food so quickly is that things can get a little messy. Tomato sauce spatters on the microwave ceiling, anyone? If there’s a whole bunch of old food build-up, use the microwave to your advantage. Combine half a cup of baking soda with a big glass of water, and mix well. (A few tablespoons of vinegar or a chopped up lemon/lime/orange will work too.) Turn the microwave on until the water starts to boil, and smile as the steam does the hard work for you! For the actual cleaning, use a soft cloth with warm soapy water. If you want to use cleaning sprays, don’t spray them into the microwave! You risk them going down the vents and causing damage. Apply directly to the cloth, instead. Don’t go too hard! Never scrub like a maniac, and use only soft materials. No scroungers, steel wool, or tough chemicals, please! If you’re having trouble, revert back to step 1. If a certain spot is really tough, directly apply a baking soda & vinegar paste and leave for a few minutes, before cleaning off. One thing I can’t stress enough is to only cook with microwave-safe material. That said, not every microwave-friendly utensil in the world has been labelled as-such – so here’s a little experiment to find out yourself. Switch the microwave on full power for around a minute. If both the water and the item are warm/hot, don’t use the item. It absorbs heat, and therefore isn’t microwave safe. If the water is warm but the item is still cold – you can use it. Microwave safe means that it doesn’t absorb microwaves, and so won’t get hot. If neither the water nor the new item are hot, your microwave isn’t working! Oh no! Microwaves are almost a necessity in modern life. Their ability to produce hot meals in a near instant is unlike anything else we have available in our homes. Especially with all these extra tools like grills and convection ovens to provide crisp finishes to the food. I hope that this guide has armed you with the know-how you need to find the perfect model for your home. There’s few things as satisfying as knowing you’ve spent your hard-earned cash on the right product. I’m still quite a new writer – any feedback is welcomed via e-mail!